New England has the highest ice cream consumption per capita in the US. I’m still so shocked to hear that since I’d imagine some hot place like FL or TX would rain supreme. Why would someone want cold ice cream in the middle of winter is beyond me but we do it anyway. So making ice cream in the fall is nothing strange. A pumpkin pie ice cream make perfect sense and is sooo good. This recipe is really simple but produces great results. 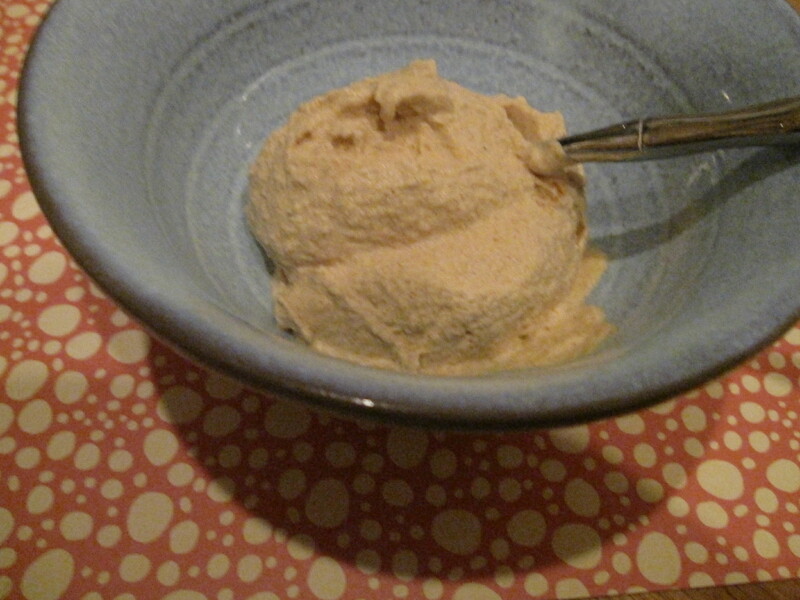 The ice cream is creamy and tastes exactly like pumpkin pie. Exactly like pumpkin pie- from the puree and spices. I’m the first person to pick pumpkin pie over apple of pecan but I really enjoyed this. This is just like pumpkin pie a la mode- just combined. I prefer soft serve ice cream which is why the photo at the top is horrible. Fresh from the ice cream maker is not that pretty. At least it tasted amazing. Combine the pumpkin and vanilla extract in a large bowl. Gently heat the cream, milk, sugar, spices, and salt over medium heat until the sugar has dissolved and bubbles form around the edge of the pan. Pour the milk mixture into the pumpkin, combine. Chill the mixture in the refrigerator until cold.